In a city that includes so many niche neighborhoods and municipalities, it can be hard to get to know what binds us as neighbors. Yarning to Know You: St. Louis explores this curiosity by soliciting strangers, pedestrians, neighbors across unique parts of town to weave their connections with others. 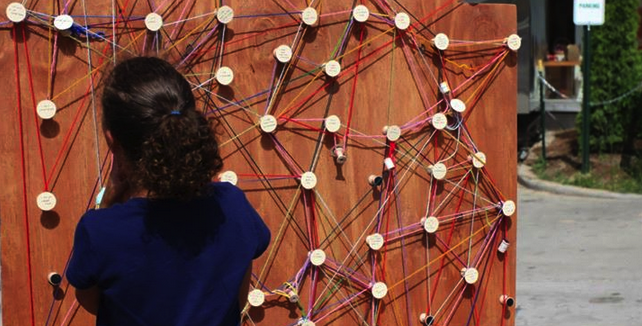 Using peg boards and yarn on a mobile, wooden platform, participants map their interests, personality traits, hobbies, secrets, and more as it inquires connections between residents of three neighborhoods in St. Louis: Cherokee Street, the University City Loop, and The Grove. 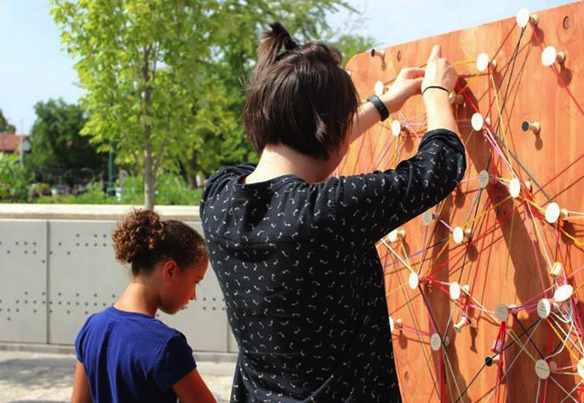 Yarning to know You: St. Louis was actualized through the support and creativity of Summer 2014 interns of the Contemporary Art Museum St. Louis in affiliation with its ArtBus pop-up art initiatives.